I felt like I was at a slumber party for teenage girls. The four women across the table giggled every time I called them “CLAMP-sensei”. They clearly were not taking themselves seriously. No matter that they are millionaires many times over. No matter that they are probably among the most famous women in comics in the world. At the heart of it, they are simply four friends doing what they love more than anything else. And still having a wonderful time after 15 years of it. hotel for a meeting with them and two of their editors. Nekoi Tsubaki, Ohkawa Ageha, Mokona, and Igarashi Satsuki sat across from me. knit professional team who started as amateurs over 15 years ago in the Kansai area of Japan. unpredictable way, and the art was lush, layered and amazingly detailed. Still within the bounds of shojo (girls’) manga, though with a decidedly darker air, CLAMP followed up with a string of popular titles, among them Tokyo Babylon and X. The latter proved to be one of their defining opuses. Still unfinished as of 2004, X is perhaps CLAMP’s most intense work, dealing with themes of fate and freedom. Filled with tragedy and violence, this epic was made into a similarly dark and gorgeous theatrical animation in 1996. CLAMP proved their versatility with 1996’s Cardcaptor Sakura, an ultracute series aimed at teenage girls, 1997’s Clover, a steam-punk science fiction tale short on plot but breathtakingly designed, and 2001’s Chobitsu, their first foray into seinen (young men’s) manga, with a wish-fulfillment magical love-slave story. All the while, CLAMP have proven themselves to be exceedingly savvy businesswomen as well as pop culture geniuses, managing merchandise, video game, and other tie-ins with their creations. I looked again across the table. There they were: Nekoi, with her pouty Mick Jagger-ish lips and confident air; Ohkawa, with her matronly, almost housemother-ish demeanor; Mokona, the cuddly teddy bear; and Igarashi, the petite and very feminine quiet presence. True individuals who had formed a hugely successful partnership as manga creators and managers of a multimedia empire. But most of all, still four friends who are doing what they love together. — How did each of you become manga artists, and how was the group CLAMP formed? Nekoi: I was drawing doujinshi when I was in college. Then, right before my graduation, CLAMP debuted in a magazine. — Had you been drawing with CLAMP while you were at school? Nekoi: Yes, we had been working together in high school. Ohkawa: At the time of our debut, we already had too much work to deal with in Kansai. where we had grown up. So we moved to Tokyo, where our publisher was. and became artists. These three [Nekoi, Igarashi, Mokona] came from a different high school than me. — Did you all go to different universities? Mokona: Nekoi and I were studying at the same university. — So you debuted right before graduating from the university? — Did you ever work at another job? Nekoi: I became a manga artist right after graduation. So I guess not. Mokona: For a career, I’ve never done anything else. — How did you learn to tell a manga story? Ohkawa: None of us ever studied at schools for manga—the so-called manga technical schools. — Did you study art in school? several courses to choose from. — Did you ever work as assistants? Ohkawa: I helped my friend as an assistant, but it was not professional work. — What was your first published work, and when did it appear? Ohkawa: It was Seiden RG Veda, in 1989. — Was there ever a low point in your career? Ohkawa: Not really. We’ve occasionally been in bad moods, but we’ve never been unable to write. — What’s the secret of being able to work together for 15 years? Ohkawa: Maybe because, when we work, we are not friends. Doing manga is our job. We are able to forgive things char we would not be able to … if we were friends, because we are professionals. But sometimes there are things we can’t forgive since we work as professionals. Igarashi: We are professionals while we are working, and we are friends when we hang out together. We change our mind-sec depending on the situation. Nekoi: Sometimes, there are things you can’t stand if you are just friends. — What genre would you call your manga? Ohkawa: We’ve never thought about our genre particularly. Mokona: We draw many different kinds of manga. — Most artists specialize in one type or genre, but CLAMP has drawn for shonen (boys’), shojo (girls’), and seinen (young men’s) manga. How do you differentiate between them? Ohkawa: We don’t really distinguish one genre from another. All are the same. If a girl reads a manga, that’s a shojo manga for her; if a boy reads a manga, that’s a shonen manga for him. It’s up to the readers. However, there are different restrictions and guidelines from one publisher to another. Igarashi: Yeah, guidelines differ greatly depending on the publisher. — Who are your readers? Ohkawa: I think the readers differ depending on the work. If we do a work for children, the readers are children, and if we draw one for older people. those are the readers. Mokona: Different works have different readers. — How do you go about creating a manga story? Ohkawa: We basically have two processes. One is creating a manga upon a request from a publisher. The other is when we decide the story first, and then think about which magazine to write it for. Basically, we talk about the rough story and how we should do it, depending on the publisher. Nowadays, we all suggest ideas in a meeting, just like a business one. However, we still have to come up with the outline of the story first. So that’s my role. After I create the outline, we discuss who’s going to draw pictures, or if we’ll all draw together, since several of us can draw. We decide who is going to make contes (storyboards), and then we start drawing. We sometimes have a work in which one person designs the characters and another person draws the actually story, so we divide up the works depending on the situation. — Who does most of the drawing in your works? — Do you have specialties, like character design, coloring, etc.? Ohkawa: It depends on the time and the work. — Ohkawa-sensei, it sounds like you’re in charge of creating story outlines and running the meetings. When it gets to the drawing stage, do you take a step back? Ohkawa: Our process of creating works is similar to that of animation and movies. We do assign each person’s responsibility, though. Igarashi: Ohkawa is still the one who makes final decisions so she’s our manager. — When you bring a story idea to a publisher, do you show them a finished rough draft of the story, or maybe just the names of the characters? Ohkawa: We decided all the names of the characters when we started work on Chobits. We brought a rough story and characters to the publisher. — Tell me how you presented Chobits to the publisher. Did you actually draw a rough draft, or did you just explain the characters and the story verbally? Ohkawa: We first turned in something like a project plan of a movie, which tells how the story goes, who’s the main character, the number of episodes, etc. We usually do that among ourselves. — Does that include sketches of the characters? Ohkawa: There’s a kyara hyon (character setting) for an animation, right? It would be a costume setting for a movie. We attach something like that to our project plan and turn it in. — Is that just a rough description of the characters? Ohkawa: No, we actually draw them the way they will appear in the manga. It is same as the kyara hyon (character setting) for an animation. — Do you explain the story in words, or with pictures? Ohkawa: It’s done in words. — Does the drawing include the clothes the characters wear? — Do you follow the same process even when a publisher approaches you? Ohkawa: Yes, we go through the same steps. However, in that case, we have to ask them what they want us to do. For example, if we are to work for a shojo magazine, we need to ask them if they want us to do something girly, or if we don’t have to worry about it. — Do publishers ever give you detailed directions, such as “Make the characters look like this” or “We want this kind of main character”? Ohkawa: For us, that almost never happens. — Is it more like advice? — So, even when you are collaborating with a publisher, you are the main decision makers? — How do you go about creating a new story for a weekly magazine? Where do you begin? Ohkawa: First, I decide on the rough story, from the beginning to the end. Actually, I often work backward from the ending. In order to have an ending like this, the story should be like that — something along those lints. Next, we decide who is going to design the characters. Sometimes I ask both of them [Nekoi and Mokona] to design characters and pick one of them. After that’s decided we will make a kyara hyou (character setting chart) and decide the characters’ height, where they live, etc. Height is especially important because it would cause chaos later if we don’t determine it at this point. Sometimes we decide the colors of the characters, but it depends on the situation. There are some characters we decide not to color. So, after that, we get the approval of the publisher and start working on the conte. — What’s the format of the conte? Mokona: You know the conte (storyboard) for movies? We divide [the story] into frames. Nekoi: For manga, some people call it a name. — Do you draw it on a small piece of paper? Igarashi: Sometimes, but most of the time we use same-sized paper as the manuscript (artboard). After we create the characters and script, the project goes to whoever is in charge of the conte. After the conte is done, we can start drawing in more details. — Which of you does the conte? Igarashi: It depends on the work. — Do you use a small notebook? Mokona: No. Some artists do draw them small, we usually draw them the same size as the manuscripts. — What size is your manuscript? Nekoi: B4 size, so-called Genkou size. — Where do your story ideas come from? Dreams, reading, movies? Ohkawa: Sometimes I get ideas from my dreams, but never from books. — Do you ever make notes? Ohkawa: I know I should take notes, but I don’t, so I forget ideas. Tons of ideas have been lost because of that. It’s a bad habit. I don’t carry around something for jotting down notes. — Do the four of you get together for a meeting and brainstorm ideas? Ohkawa: No, actually I am the one who has determined the rough story. In the meeting, we talk about the ideas for specific scenes. For example, “I would like to do something like this; how can we make that cool?” And the others come up with ideas. There are some cases when we design the characters before the story. Our method is kind of complicated if you think of it in terms of manga creating. Our process is more like animation, with a director, playwright, character designer, and painter; there arc also background artist, creator, and publicist. We take turns doing all those things among the four of us. — How much do you use computers in creating manga? Nekoi: Almost never. I’m a good friend of the copy machine, though. There are some works for which we used a computer to color the pictures, but for black-and-white manga, we almost never use computers. Ohkawa: There are only one or two works for which we used computers to color pictures, but we do sometimes use them. — When you do use it for color, do you draw by hand and scan the drawing, or do you do it from the beginning on the computer with a tablet? Nekoi: We sometimes use the scanning method, and sometimes we just draw the rough draft using tablets. Igarashi: We have a couple of painters, but only one can color by computer. Mokona: Yeah, only Nekoi can do it. — How exactly do you use the copy machine? Ohkawa: When we were working on Clover, we wanted to make a picture look blurred. A lot of people would use a computer to do it, but we blurred it on the copy machine. It’s hard to get it right, so we had to try many times. — You’ve published books on your own since you were in high school. Sometimes self-publication leads to a professional debut. Is self-publication important to the Japanese manga industry? Ohkawa: It’s hard to say. I do think publishing books on your own could be important to the individual. But commercial magazines and self-published books are totally different, even if the commercial magazine doesn’t sell as well as the self-published one. — Would you recommend self-publication to artists seeking to debut? Ohkawa: It depends on the person. When you publish a book by yourself, you can draw it just for you, but you can’t do that when you work for a publisher. If you really want to go for commercial magazines, you need to understand that—otherwise you would suffer later on. Some people are suited for commercial magazines, so it’s good for them to start there. — Who were the manga artists or works that influenced you the most? Nekoi: For me, it was the manga Takahashi Rumiko-sensei. And also the artist Wada Shinji-sensei. Mokona: I was influenced by Matsumoto Reiji-sensci and Hagio Moto-sensei. I had seen Matsumoto Reiji-sensei’s pictures since I was little. Animation affected my work, too, since I watched a lot of animation. And I also watched many westerns when I was small. Igarashi: I was shocked when I first read Tezuka Osamu-sensei’s manga: it was the very first time I had read manga. And 1 was absorbed in Hagio Moto-sensei’s works. Ohkawa: For me. it was Nagai Go-sensei. He’s an important person. Ohkawa: Ichikawa Kon’s movies, the ones made by Kadokawa Shoten long ago, written by Yokomizo Seishi-sensei. — Do you have favorite artists now? Ohkawa: Terada Katsuya—and not just because we are friends, though! Igarashi: It’s hard to name others. We don’t read as many mangas nowadays. Mokona: We can watch movies while we are eating, but its impossible to read comic books while eating. — Are there themes in your work? Ohkawa: Some readers and critics told us our works contain too much individualism. They think we dislike organizations or sell-sacrifice. We’ve never done works like that consciously, but some readers told us that in letters. — Has there been any change of style or methods during the last 15 years? Mokona: The art styles of the pictures have changed. Nekoi: But the methods haven’t changed at all. — Do you guys intentionally change the art styles in your stories? Ohkawa: Yes, to suit the work and the magazine in which it will appear. — What’s a typical day for you? How many days a week do you work? Ohkawa: We start working at 10 in the morning, eat brunch at around 11, and keep on working. Igarashi: Oh, but we will rake a break at 3 o’clock. Mokona: Then, we keep working. We have dinner at around 6 p.m., and go back to work. There might be time to take a bath, but we’ll basically keep on working until midnight or 1 a.m.
Nekoi: And “Good night!” We continue like that for about three weeks. Then we can have a day off; we’ll go “Yeah! !” and play around on that day. It’s been like that for 10 years, so it’s just normal to us. Sometimes we take more days off, like once in two weeks. — That’s amazing. You are devoted to your work! Do you live together, as well as work together? Ohkawa: Yes. Now we live in a house. The first floor is our office and each person lives in a room individually. So, we don’t really know each other’s private life. lgarashi: It’s a three-story house: The first floor is our office, two people live on the second floor, and two people on the third floor. — How many pages do you draw in a month? Ohkawa: Right now we have two weekly series, so we do about 120 to 130 pages a week2. Mokona: But when we have to do a color one, it takes more time. — Are there any of your works that you are unhappy with? And what are your favorites? Ohkawa: I’m not satisfied with our debut work. There are some actresses who would rather die than show their first movie; its the same reason. But I have a lot of works that I like, so there’s no number one. — Do you read any comics from other countries, such as American or Asian comics? Mokona: I don’t know much about American comics. For Asian artists, eShin Amenow, which is serialized in a Japanese magazine, is fun. Nekoi: And I like Tintin from France3. Igarashi: I also like Peanuts. Ohkawa: I want to see Blade. I’ve seen the movie, but I’ve never read the original comic. — Do you have any advice for aspiring manga artists? And is there anything you would like to say to your fans inside or outside of Japan? Ohkawa: We don’t have enough time to read it now, but we have all loved manga since we were kids. We hope as many artists as possible can begin making good comics. Ohkawa: If you have something you want to draw and can finish it without giving up, you will debut for sure. Do the work till the end. No matter how poor you think it is, there will be some people attracted to it. If it’s a comic, finish one story. If its a novel, also finish one story. The most important thing is to give your idea a concrete form. 1 RG Veda debutted in 1989, not 1990. 2 At that time CLAMP were drawing 120-130 pages monthly, not weekly. 3 Tintin is actually from Belgium, not France. 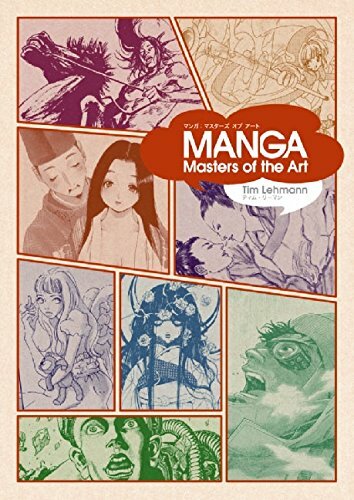 Interview originally published in Manga: Masters of the Art (Harper Design), released on November 1, 2005. Available for purchase at Amazon. If you would like to contribute with translating other interviews, please contact me.